Red Bull Culture Clash is a live music experience unlike anything else. Pitting four crews, each representing different musical genres, against each other on a specially designed four-way stage, they go head to head to compete for the title of Culture Clash Champions. 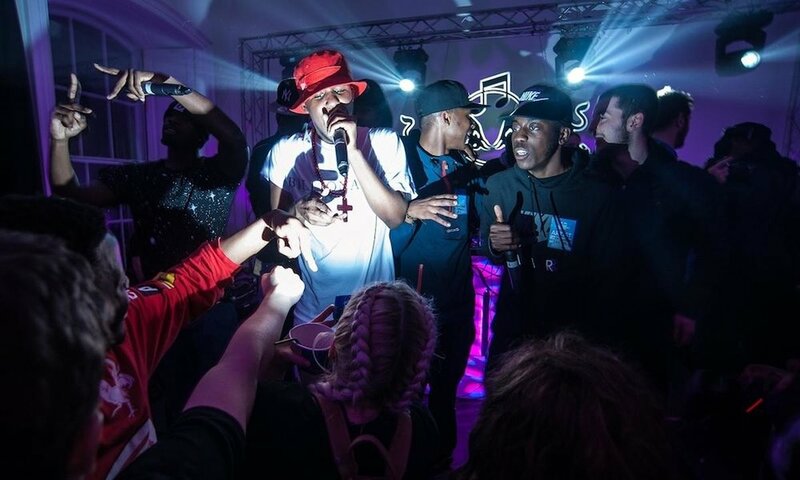 Live stream: For the first time, Red Bull Culture Clash was live streamed on the night exclusively on Red Bull UK. The interactive stream allowed viewers to interact with the show directly, by 'making noise' for their favourite moments through an up-vote mechanism, and voting to release 'special weapons' for their selected crews to use on the night (e.g. lasers, releasing confetti on the crowd). Online interactions were incorporated into the final judging process. Editorial: Pre-event editorial was lead by the "Jamaica Better Know" documentary, produced by Red Bull's Moving Image team, and interviews with key crew members. We live blogged the night on Redbull.com and on Red Bull social channels, giving behind the scenes news, gossip and updates as events unfolded. Post-event content included the official news report released to press, behind the scenes videos and photo galleries, a video focusing on the winners Rebel Sound, and a comment piece by Elijah of Rinse FM and Butterz, reflecting on the evolutions in UK music culture. While 20,000 fans attended the event at Earls Court, another 500,000 watched live online, generating over 1 million mentions / interactions before, during and after the show - amplifying the event far beyond the four walls of the venue in which it was taking place. Editorial content and live blogs long-tailed interest long after Culture Clash was over, and formed a digital archive of the event. Over 4 weekends in June we took over 4 cities around the UK for 36 unique shows featuring 192 artists from across the musical spectrum. 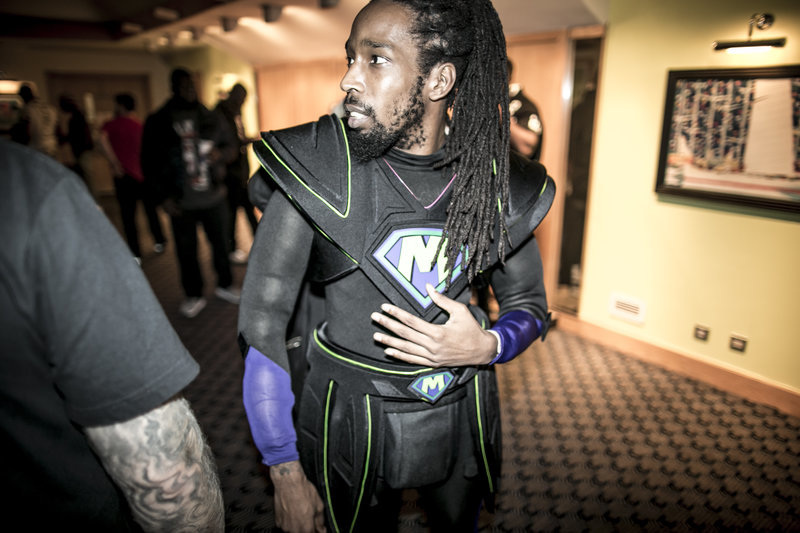 The RBMA UK Tour was a celebration of popular music culture in the UK; a programme that honoured the past, elevated the present and anticipated the future. A bespoke UK Tour microsite, which functioned as a ticket purchasing platform, event listings, and an editorial hub for a month of content. Incorporating multiple formats, we live streamed A$AP Rocky's London lecture, broadcast RBMA Radio shows from all four cities, made the world's first grime property show Lords Of The Manor, produced a catalogue of long reads by acclaimed music writers about UK Music culture and a whole host of other quick titbits and treats to keep conversation around the UK Tour flowing for a month. Over 100,000 uniques to the microsite over the month of the tour. 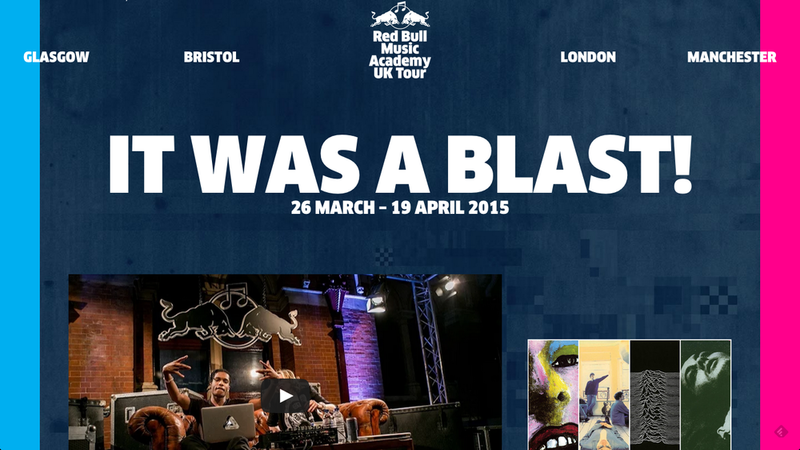 With writers, photographers and film makers on the ground at every event, it was the most comprehensively documented Red Bull event to ever happen in the UK and positioned the tour authentically within the broader context of UK music culture.